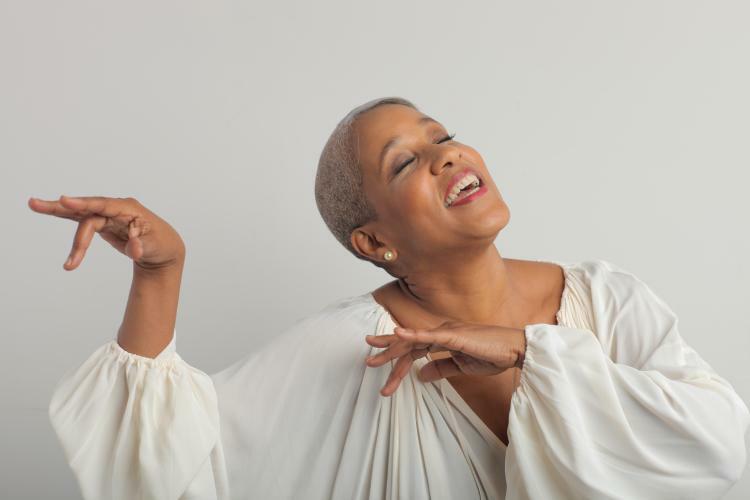 Two-time Grammy Award nominee René Marie follows in the footsteps of legendary vocal jazz divas like Ella Fitzgerald, Dinah Washington and Sarah Vaughan. With a unique blend of jazz, blues, folk and gospel, her deeply personal style creates an unforgettable celebration of the human spirit. The 7:30 p.m. club-style event includes bar service and a menu of appetizers and desserts. Patrons may also opt to attend a romantic, pre-show dinner at 6 p.m. in the same venue. Immediately following the performance, CES and WFWM-FM present the Offstage Series With WFWM, when Chuck Dicken joins the artists onstage for a lively discussion with the audience. Tickets are $18 for adults and $16.20 for youth under 18. For more information please visit CES’s webpage at ces.frostburg.edu or contact the CES box office at 1-866-849-9237 or 301-687-3137. This engagement is funded through the Mid Atlantic Tours program of Mid Atlantic Arts Foundation with support from the National Endowment for the Arts. The Cultural Events Series is supported in part by a grant from the Maryland State Arts Council. On the web at msac.org. CES is sponsored in part by the City of Frostburg.